Randy and Nanci Alcorn were married in 1975. They have two married daughters and five grandsons. Randy enjoys reading, tennis, biking, and when he gets the chance—snorkeling. 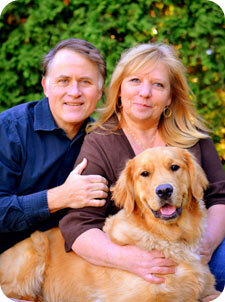 Nanci enjoys reading, exercising their dog Maggie, watching professional football, and traveling with Randy. They both love spending time with their growing family.